"Comedy and Humanity" in 2018! As a trial lawyer turned stand-up comedian and Baptist minister, Susan Sparks is America’s only female comedian with a pulpit. After ten years as a lawyer moonlighting as a stand-up, she left her practice and spent two years on a solo trip around the world, including working with Mother Teresa’s mission in Calcutta, climbing Mt. Kilimanjaro, and driving the Alaska Highway. Upon returning home, she entered Union Theological Seminary in New York City, where she earned a Master of Divinity and wrote an Honors Thesis on humor and religion. Susan is currently the Senior Pastor Madison Avenue Baptist Church and the first woman in its 170-year history. Susan is also a professional comedian touring nationally with a Rabbi (Bob Alper and a Muslim comic (Azhar Usman) in the “Laugh in Peace Tour.” Her work with humor, healing and spirituality has been featured in O (The Oprah) Magazine, The New York Times and on numerous media networks including ABC, CNN and CBS. She is a nationally syndicated columnist who is carried by the Waxahachie Daily Light through GateHouse Media. She is also a TEDx speaker and an author. Susan’s first book, Laugh Your Way to Grace: Reclaiming the Spiritual Power of Humor, was named one of the best spiritual books of 2010 and has sold over 25,000 copies. She will be signing her book and offering it for sale after the keynote. Most importantly, Susan is a born and bred Southerner who, with her husband Toby, loves to fly-fish, ride their Harley, and eat pimento cheese and good BBQ! Professional medical clowns from “Laughter League” will show and discuss how the transformative power of humor impacts the healing process in lives of the children and families they serve. "SCIENCE CIRCUS" Comes to Chautauqua! On Sept. 29, 2018, Peter Davison, champion juggler and movement artist from Boulder, CO, will arrive on the Chautauqua stage with unicycle in hand. Known as one Hollywood's best storytellers, native Dallasite Stephen Tobolowsky will return to Texas and bring his stories to Chautauqua Sept. 29! As a character actor, many know his face, but not his name. Over the years, he has appeared in everything from the 1993 movie Groundhog Day to the current Netflix series One Day at a Time. He has amassed over 250 other credits on both the big and small screens. Tobolowsky was recently inducted into the Character Actor Hall of Fame. His charm and ability to make the audience laugh with his comedic timing makes him a one-of-a kind actor who has used comedy to help him survive even the darkest of times. Well-Known Humorist Will Rogers Returns to our Chautauqua Stage! The quick wit and kind criticism of legendary humorist Will Rogers returns to our Chautauqua stage on Sept. 29 – after 91 years - brought to us through the performance of acclaimed Oklahoma scholar, actor and Will Rogers ambassador, Dr. Doug Watson. After performing in Wild West shows as a young man, Oklahoma native Will Rogers broke into vaudeville and then Broadway. His folksy wit and common sense attitude made him one of the most famous actors and speakers in the world in the 1920s and '30s. On February 26, 1927, Rogers performed to an enthusiastic crowd at the Waxahachie Chautauqua Auditorium. The Waxahachie Daily Light reported that the entertainer provided the audience “one hundred and one minutes of engrossingly entertaining comments and cross fires on topics of the day.” Topics included his trip to Europe, Mussolini, U.S. foreign policy, the League of Nations, disarmament, the plight of the farmer, and former Texas Governor Jim Ferguson. Dr. Doug Watson is professor emeritus of English of Oklahoma Baptist University. In 2010 he was inducted into the Oklahoma Higher Education Hall of Fame. He has been involved in historical characterization since 1991, performing more than a thousand programs in schools, libraries, Chautauquas, and conference venues. Viola and Rosalind will be among Shakespeare's comic heroines explored at Chautauqua on Sept. 29th. Dr. Kathleen Campbell, joined by three Dallas-area actors, will uncover the new type of comic heroine that Shakespeare invented in his comedies. They will look at favorite comedies Twelfth Night and As You Like It plus others as these surprising heroines come to life. DR. KATHLEEN CAMPBELL is Professor Emeritus of Theater, Austin College in Sherman, TX. In addition, she is a versatile theatre artist and has acted, stage managed, designed sets, costumes, and lights, directed, and produced for educational and professional theaters in Texas and around the country. She was a member of the professional artistic company at the Dallas Theatre Center for 14 years. She has also presented and written many articles and papers on Shakespeare! Dr. F. Hyatt Smith, one of the foremost lecturers on literature in the country, "delighted a large audience at the auditorium with his lecture 'Shakespeare and His Times'. The lecture was heard with much pleasure by many members of the Waxahachie Shakespeare Club" . In 1908, Dr. Smith said: “Untraveled, Shakespeare travels the world; unread, he is read by all mankind; untaught, he teaches all. His works are the best English history and the finest biblical commentary. Customs change, habits alter, traditions die, but he remains. His characters do not resemble life, they are life itself." IMPROV SHOW plus IMPROV WORKSHOP! Join Theater Professor Kirk Everist and the acclaimed Austin College Improv Troupe for an improv comedy performance at Chautauqua on Sept. 29. They will bring their humorous family-friendly take on Chicago-style improv, incorporating a number of cutting-edge techniques used across the country. Then, come to a workshop! if you have ever wondered about the skills and rewards of improvisational comedy, get a taste of the basics in a one-hour introductory improv workshop. Dr. Everist invites you to discover the spontaneity of improv and techniques that deliver humor while also enhancing skills in communication, problem solving, and team-work. With support from Austin College, Dr. Everist has investigated new forms and approaches to improv—from competitive improv using short, sometimes wordless, scenes in Edmonton, Canada, to the 50-hour improvathon in London, England. Dr. Sean Guillory says that he will attempt to explain humor without ruining it for everyone. Explore with him: why do we laugh? what is a joke? and how do we differ in what we think is funny by age, culture, and gender? Dr. Guillory has been studying the Psychology and Neuroscience of Humor for over 10 years. His passion for humor took him from a bachelor’s degree in the Psychology of Humor (Texas State University) through his PhD dissertation “Neuroscience of Humor/Laughter” (Dartmouth) in 2014. Dr. Guillory organized several academic scientific humor conferences, including the first-ever Comedy Symposium cosponsored by the Mind Science Foundation in January 2011 in San Antonio, bringing together humor researchers from around the world. He was Editor of “Humorous Times”, the newsletter of “The International Society for Humor Studies”. After teaching at Texas State University 2017-18, he now serves as Business Process Analyst at Clear Channel Outdoor in San Antonio. These two singers/actors/comedians, Liz J. Millea and Greg Hullett, are masters of the art form of Musical Comedy. Both have performed in major theater productions throughout the DFW area, including recently performing together in Theater Too’s popular “I Love You, You’re Perfect, Now Change”. Having met while performing together in the musical “Chicago" in Irving, TX, Liz and Greg are engaged to be married in October - but will be with us at Chautauqua. on Sept. 29th! There they will perform selections from the various eras of Musical Comedy, with a special emphasis on the theme of love and relationships. Liz J. Millea is an Iowa native and a Muhlenberg graduate (BA Theater & Dance) who has worked professionally all over the country. Her recent DFW credits include Kimber/STICKFLY (Jubilee Theatre), Woman 1/I LOVE YOU, YOU’RE PERFECT…(Theatre Too), Vicki Nichols/THE FULL MONTY (Uptown Players), Velma Kelly/CHICAGO (MainStage Irving), Katherine/THE TAMING (Circle Theater - FW Weekly Best Female Performance 2016), Lucrece/THE LIAR (Theater Three). 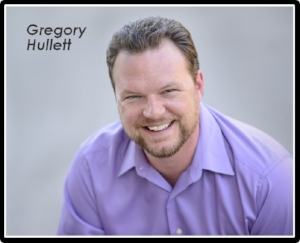 Gregory Hullett is originally from Mesquite, TX and now lives in Dallas. He was trained at KD Studio Actors Conservatory and earned his degree in Acting Performance. His favorite stage credits include: Billy Flynn/ CHICAGO (Mainstage Las Colinas), Gerry/ DANCING AT LUGHNASA (Contemporary Theatre of Dallas), Dave Bukatinsky/ THE FULL MONTY (Uptown Players), Atticus/ TO KILL A MOCKINGBIRD. Start the day with trained Laughter Yoga instructor Claire Billingsley and experience the power of voluntary laughter and see how it can provide the same physiological and psychological benefits as spontaneous laughter. Laughter can strengthen immune functions, bring more oxygen to the body and brain, release healing endorphins, and reduce pain and stress. 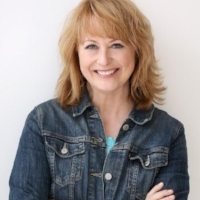 Claire Billingsley is a Certified Laughter Yoga Instructor as well as an inspirational speaker, improvisational comedian, TV host, life coach, and author.